Swimmer Katarina Roxon has won gold for Canada in the 100-metre breaststroke SB8 at the Rio Paralympic Games. Roxon, a 23-year-old swimmer from Kippens, Newfoundland, won the race in a time of 1:19.44, 1.16 seconds ahead of Claire Cashmore of Great Britain who won silver, and 3.63 seconds ahead of Ellen Keane of Ireland who won bronze. Roxon was born with her left arm missing below her elbow. Her parents got her involved in swimming at age five because they thought it was an essential skill. Safe to say that decision paid off. 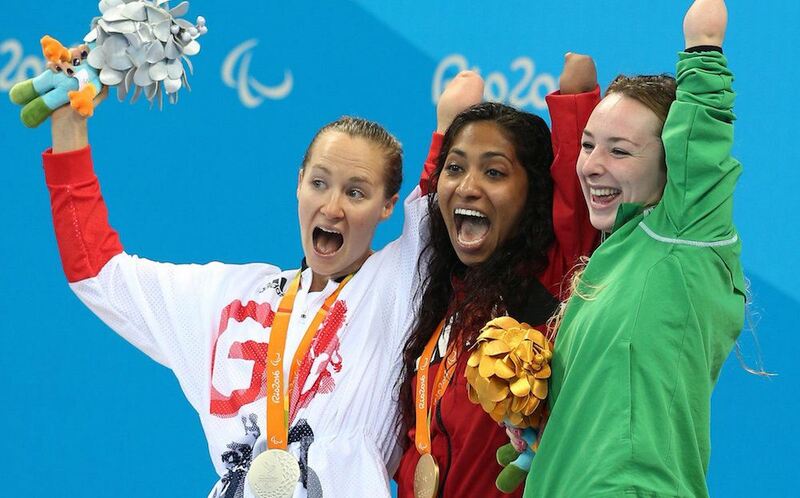 As you might imagine, Roxon was elated with the result, overcome with emotion both in the pool and on the podium. The gold medal is Canada’s sixth of the Games, and second of the day, as Tristen Chernove struck gold earlier on Wednesday. Canada currently sits 13th in the medal table with 20 total medals (6 gold, 9 silver, 5 bronze).